Mecca Bingo is going all out to celebrate the arrival of the brand new slot, Dragon Spin. The site is holding a £25K prize draw which can be entered by playing any of the selected dragon-themed slot games. £25,000 of bonus funds is enough to get anyone all fired up, so keep on reading to find out how to get involved with this red-hot promotion and why we think you’ll love the games involved. These prizes come in the form of bonus funds and can be enjoyed at absolutely any Mecca Bingo game. Click to Play Now at Mecca Bingo Spend £10, Play with £40 + 18% Lifetime Cashback & 250 Points! New customers must deposit and spend £10 on mecca bingo within 60 days to receive £30 bingo bonus with 2x wagering requirement. £30 online bonus + £10 in club. T&Cs apply. If you fancy your chances of being one of the lucky winners, sign into your Mecca Bingo account any time during the promotional period, which is the 20th – 26th of February. As soon as you’ve done this, you will be automatically entered into the big prize draw. Every further £20 you stake in these games will earn you another entry and there is no limit to how many times each player can enter this promotion. So, for an even higher chance of being named a winner, keep on spinning the selected slot games. The random draw will then be held within one week of the promotional period coming to an end. Dragon Spin is the centre of attention in this promo. Recently released by Bally Technologies, this five reel, 30 pay line slot is filled with detailed images of dragons- each one boasting its own unique personality. 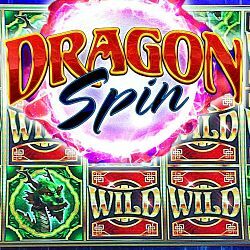 Playable from between 30p and £120 per spin, Dragon Spin really comes into its own when the bonus features kick into action. There are three different free spins up for grabs, all of which include excellent extras such as sticky wilds or additional pay lines. Imperial Dragon whisks players away to an exotic and enchanting Chinese setting. The stunningly designed reels can be spun for as little as 60p or as much as £100. This game is full to the brim with exciting extra features including a free spins game which unlocks additional sets of reels. There is also a two-level gamble feature on offer for the more daring players out there. Kick back and let the traditionally designed Chinese dragons bring you your share of good fortune with Dragons Wildfire by Ainsworth. Set in the Far East in an ancient temple, symbols on the five reels and 20 pay lines of this enticing slot include the Ying Yang sign, Chinese Hanzi characters and, of course, glittering golden dragons. Dragons Wildfire can be played from between 20p and £40 per spin and has an astonishing seven bonus games. There is a bit of a twist on the dragons theme in Mini Dragons by Yggdrasil. The fuzzy, adorable dragon babies in this five reel, 20 pay line slot might be tiny, but the cash prizes they can dish out are anything but. There are plenty of special features to play for in this adventurous game as well as the increasingly popular cascading reels layout. 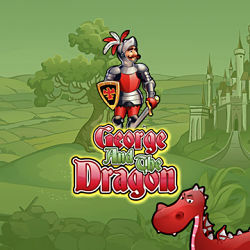 George and the Dragon is one of the most iconic stories in English mythology. If you love an epic tale of medieval sword and sorcery, you’ll definitely want to give this Virtue Fusion slot a spin. The five reels and 20 pay lines are filled with images such as swords, steeds, princesses and palaces, and can be spun for as little as just 1p. If this enchanting theme wasn’t enough to make you fall in love with George and the Dragon, the generous free spins bonus certainly will be. All registered members of Mecca Bingo who are based in England, Scotland or Wales, are welcome to take part in the Dragon Spin prize draw. The promotion is open to new and existing customers alike. This means that even if you don’t have a Mecca Bingo account yet, you can still sign up for one with Cashbacker today and take part. The promotion is open from the 20th until the 26th of February. Only gameplay made with real money during this period will count towards prize draw entries. The rewards in this prize draw are paid out as bonus funds and are subject to a 20X wagering requirement. Please note that once these funds have been credited to winners’ accounts, there is a seven day expiry period. If the bonus remains untouched after this time, it will be revoked.